Did you know that having a weak password is one of the biggest security risks you face? 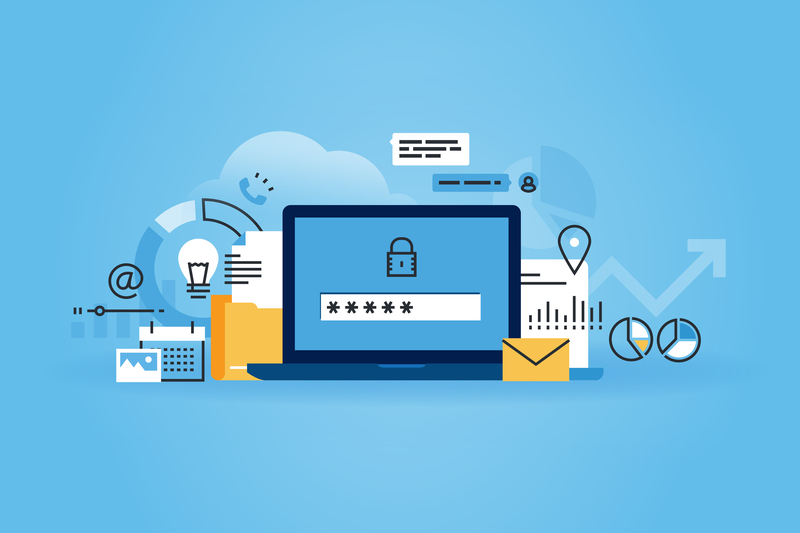 This blog focuses on the best practices related to passwords that you can follow to ensure passwords are not your weakest link. Avoid sequences and repetitions: How many times have you used passwords like dollar12345 or $$$BobMckinley. Passwords containing sequences and repetitions are just easier to hack. Avoid using your personal data: Do not make your birth date, bank account number or address a part of your password. It puts your data at stake if your personal information is stolen. Don’t repeat passwords: Make sure you pick unique passwords every time. Unique, not only verbatim, but also in combination. For example, if password one is a combination of number, symbols and letters in that sequence, password two should be letters, numbers and symbols. Manual password management is not a good idea: Invest in a good password management tool. You can even find some free ones online. But, manually managing passwords, by writing them down on a spreadsheet is a big NO. Password sharing: Discourage password sharing across the organization. Every employee should have unique access to data depending on their role and authority. Password sharing gets things done faster, but can do irreversible damage. Password policy: Have a password policy in place and enforce it. Conduct timely audits to ensure the passwords match the specified safety standards. Also, take corrective actions against employees who don’t follow your password policies related to password sharing, setting, etc. Don’t use dictionary words: Hacking software programs can guess dictionary words faster. The key is to mix things up a little bit–some numbers, some symbols, some punctuation and some alphabets. Don’t choose passwords that are way too simple just because they are easier to remember, because, more often than not, it can get you into a lot of trouble.